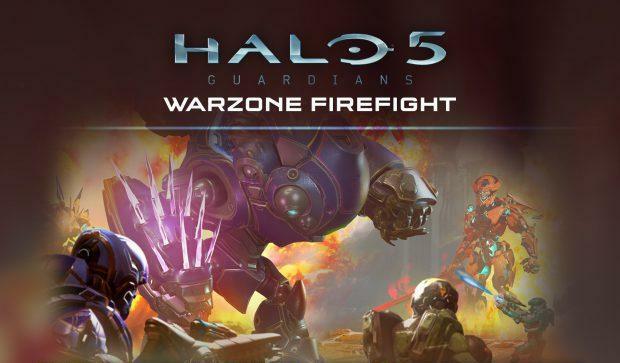 Warzone Firfight has been a long time coming. Get ready as we get the full REQ reveal and maps! Since the beta some time ago alot has changed in Warzone Firefight. The general idea is still there but we can expect a lot of more objectives and bosses to beat. One of these new bosses will be Grunt Goblin the we saw a few days back. You can also expect the difficulty level to ramp up as you progress through rounds. No more easy pickings! This update will also bring back a long gone campaign score attack so you can compete with your friends or to try and get a combined record by working together. Taking down enemies with style will fetch you more points than the regular headshot or melee and dying will cost you dearly. Next up we have some new maps to play on. Since we didn't really get much with the Hog Wild update map wise we get 2 Warzone maps, 1 Arena map, and a Forge canvas this time around. The first Warzone map we'll be taking a look at is the brand new Attack on Sanctum! This map is themed around the Sangheili homeworld and will most likely feature a few of the new bosses instead of your usual legendary vehicle enemy and Warden. I don't know about you but the image above gives me a kind of Blood Gulch feeling. The second Warzone map is the Warzone Assault version of Attack on Darkstar and is called Prospect. Although it being a remix, I really don't see the original back in here apart from the theme. This remix is also made with Warzone Firefight in mind so this will probaby be the map to play on. The Arena map is also a remix and is a version of The Rig. This map is called Molten! This is the only image of the map I could find at the moment so I can't really tell how the map will play out. I guess we'll have to look forward to the mandotory update livestream prior to release. Tidal is pretty much a giant rock in the middle of the water with some nooks and cranny's for you to build some smaller maps as well as some large open water for you to build the larger maps. again this is the only image available right now so we'll have to wait and see how it will turn out. Now here come the REQs, and there are some cool ones! First up we have the Temple style Covenenant vehicles. They sport a golden/green-ish colour and from the rarity colours might be a step up from the already present ultra variant vehicles. We'll most likely see their effects in the livestream. Next up we have the Halo 2 Beam rifle (from which many found death in the Halo 2 Legendary runs...) along with an Alpha and Delta variant. What the effects and deifferences will be from the already available Beam Rifles remains to be seen. Another big one is the Wasp UNSC air vehicle. Yes, we finally have an UNSC flying vehicle! From the little footage that is out there on the interwebz we can tell that it'll be a VTOL kind of plane and it will feature a chaingun and rockets to rain death from above. The Pheaton has finally found its match. Last up we get our usual fix of Armors, emblems, an armor mod and some weapon variants of the Brute Plasma Rifle. I'm going to take a wild guess here and say that the Patrol case armor mod will let you have some more ammo capacity out of spawn. That's about it for this update! What do you think about Warzone Firefight and the new maps and REQs?